All donations are most welcome and very gratefully accepted and appreciated to help cover costs for the upkeep of this site. If you’d prefer to donate by check rather than PayPal, just send me a note here. Thank you for your kindness. Together we are helping our brothers and sisters all over the world! 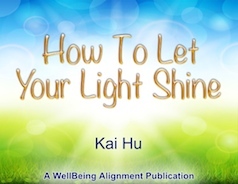 If you haven't already, I hope you’ll sign up for the Encouragement From WellBeing Alignment newsletter here. You’ll receive lots of help for healing on all levels of your being. You’ll also receive notifications about new information added to the site, as well as special deals for WellBeing Alignment Sessions. Ezines generally go out once or twice a month. You can download all of the following here. This book will show you how to do that. We’re not in the world. The world is in us. Our creation and experience of the world is based entirely on our choices. Everything we experience is a result of our choosing it, whether consciously or unconsciously. 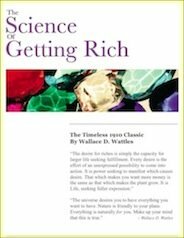 This an edited reprint of the timeless 1910 classic by Wallace D. Wattles (formerly titled Financial Success Through Creative Thought) which is currently in the public domain. Wallace Wattles speaks from a deep understanding of how ALL things are created on this plane.